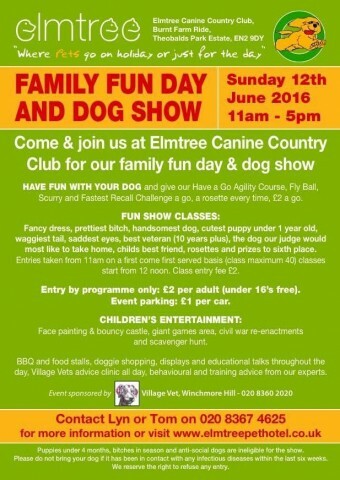 Our friends at Elmtree Canine Country Club are holding their annual Family Fun Day on Sunday 12th June 2016 at 11am-5pm. David and Clare will be there all day with the Training Centre, it would be great to see some of our customers, it is a really great day with lots to do and see. Full details are above.